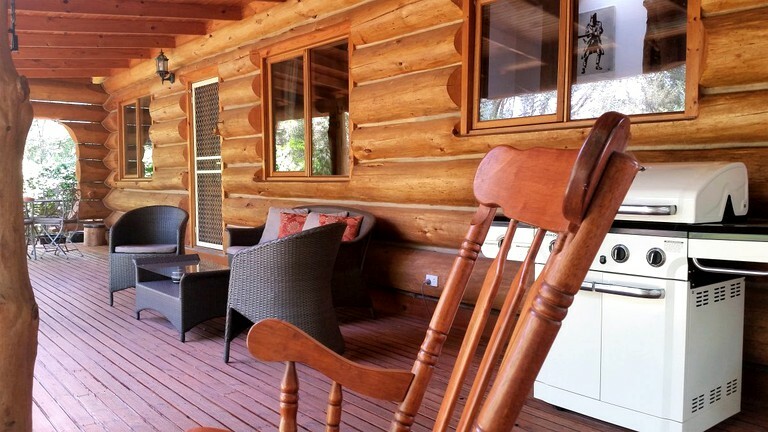 This eco-friendly camping log cabin is located near Bright in Victoria, Australia, and can accommodate five guests. There are two bedrooms and one full bathroom. 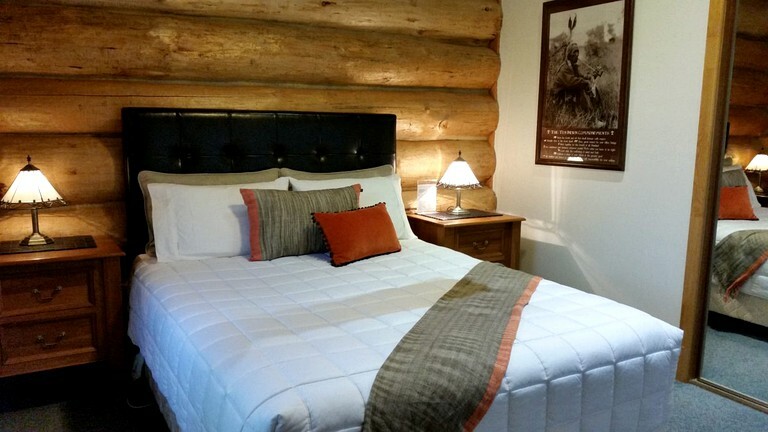 The first bedroom has a king-size bed and a small LCD TV with a DVD player. The second bedroom has a queen-size bed with a fold-out twin bed and another small LCD TV with a DVD player. 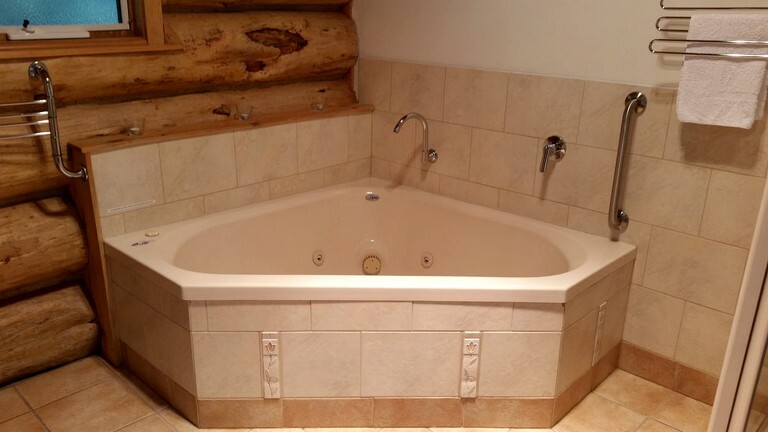 In the full bathroom, guests will find a sink, a toilet, a shower, and a jetted tub. Linens and towels are provided. 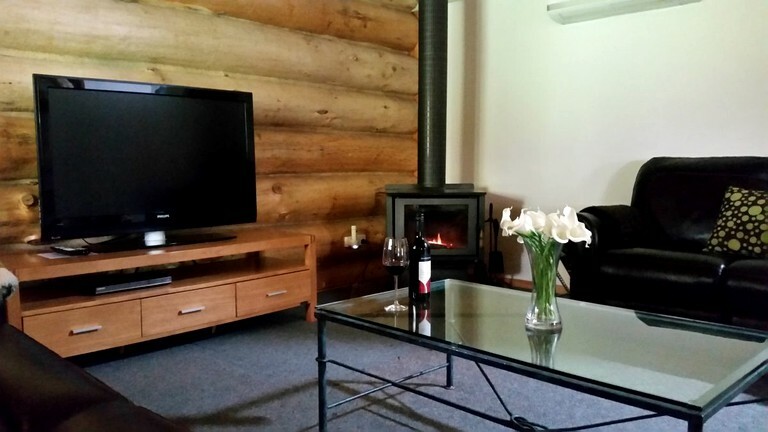 In the living room, guests will find a wood-burning fire, leather reclining sofa, and a 47-inch TV with a DVD player. The fully equipped kitchen comes with an oven, a stove, a refrigerator, a dishwasher, a microwave, a toaster, and a Nespresso coffeemaker. Other amenities include Wi-Fi, air conditioning, heating, ceiling fans, solar panels, a washer and dryer, a Bluetooth music dock, a telephone, and parking. This rental includes complimentary Wi-Fi and parking. For entertainment, guests will find three TVs with DVD players. No matter the temperature outside, guests can stay cozy with the indoor heating and air conditioning. Nothing beats cuddling up next to the fireplace on a cold day and the thick log walls retain heat wonderfully. There is also a washer and dryer to keep clothes fresh during any stay. Outside, guests can have a barbecue on the gas grill while enjoying the fresh air and then roast marshmallows over the fire pit as the stars begin to twinkle in the night sky. 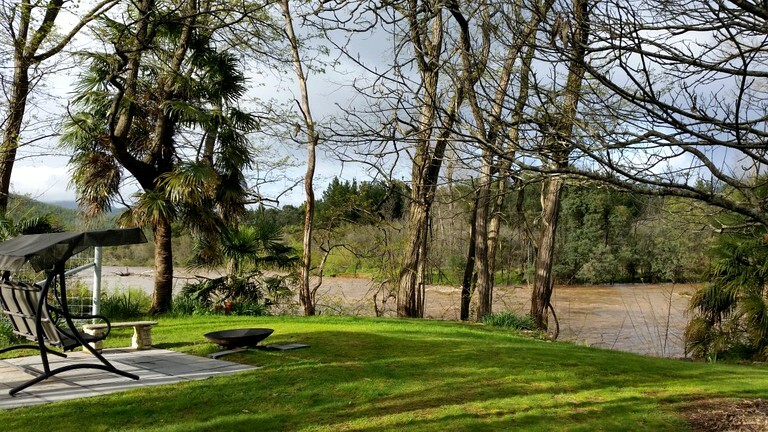 Guests have access to Ovens River just steps away. The property has a couple of bikes and toboggans that guests are welcome to borrow. 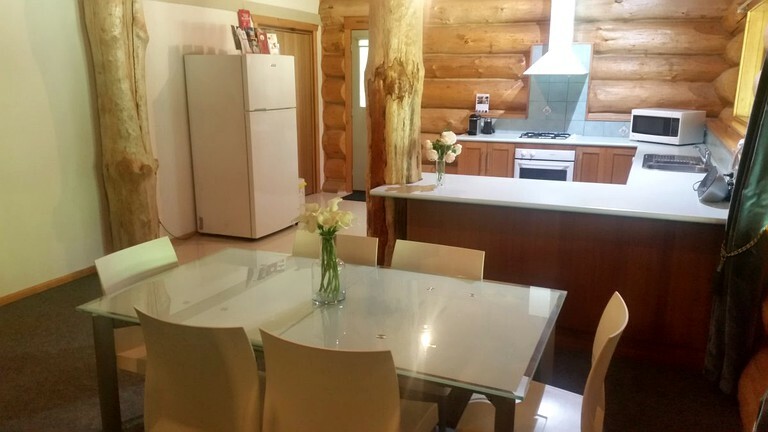 Guests should note that the hosts live on the property in a separate home, so they are available if required. 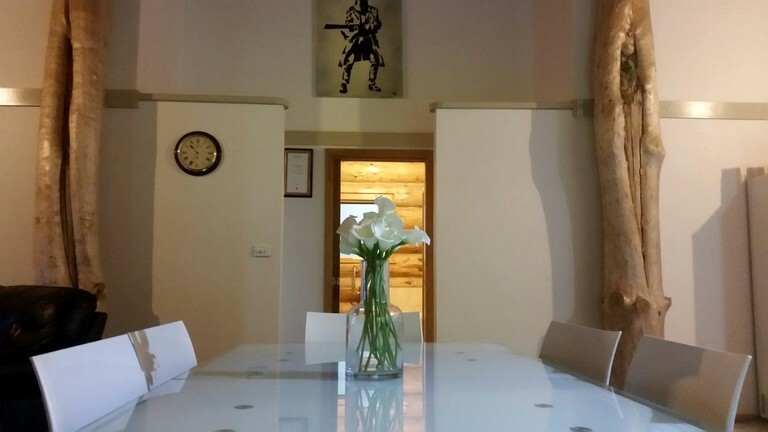 However, guests' privacy is respected, and they will be left alone to enjoy their stay and the peace and quiet unless guests contact them. The rear of the property is quite secluded and reserved for guests' privacy, but they are certainly free to enjoy the rest of the grounds. Continental breakfast provisions, massages, and babysitting services are all available for an additional charge. Guests can whip out the camera and capture native wildlife along the river. Ovens River has some great trout fishing and guests can go for a swim to cool off on a hot day. Guests can hop on a bike and cycle along the Murray to Mountains Rail Trail just out the door. Cycling is an excellent way to get around and guests can visit Bright or the Ringer Reef and Boynton's Feathertop wineries by bike. There are also tasty restaurants, shopping, 4WD trails, rafting, and paragliding within five minutes. Mount Buffalo is ideal for skiing, snowboarding, climbing, hiking, and more. Children under two years may stay for free if guests bring their own bedding.